When residents in Westminster, Colorado, want to view the city’s comprehensive land-use plan, see where permits for solar power systems have been issued, or find a dog park, they can view web maps created and shared using Esri’s ArcGIS. 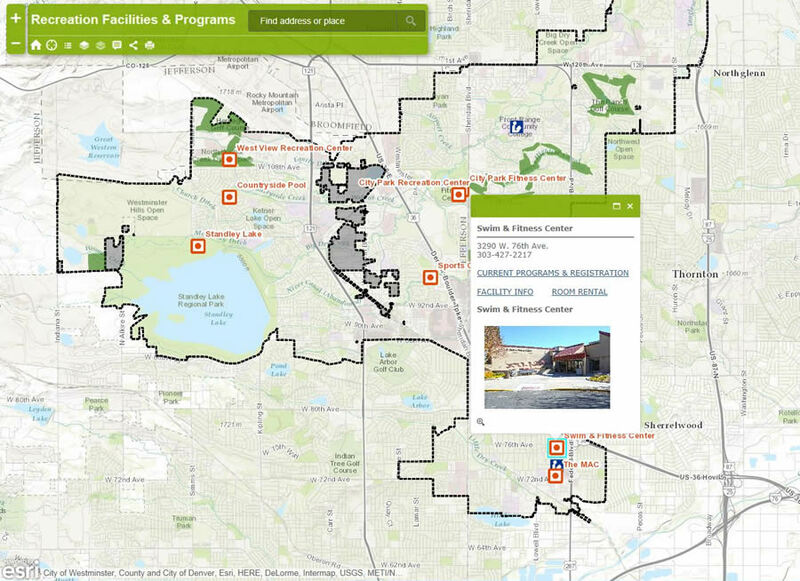 Westminster’s online map services page includes a map gallery of recreational facilities, vacant developable land, recycling drop off spots, city facilities, public art sites, and much more. Located 10 miles northwest of downtown Denver, east of the Rocky Mountains, Westminster is a growing city with a population that tops 100,000. 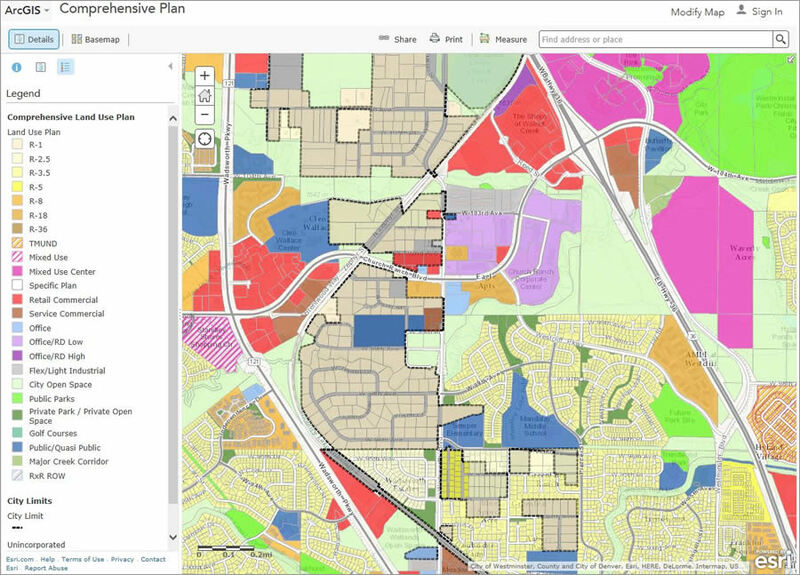 The Denver metropolitan area is a tech-savvy region, and Westminster has been one of the leaders in developing new ways of using GIS data and making geographic information available to residents. The four-member City of Westminster GIS group develops GIS applications and manages spatial data for the city. The team also does much of the municipality’s mapping work, which includes creating both web-based and traditional plotted maps. Dave Murray, the city’s GIS manager, recognized the value of making authoritative local data available online by contributing to the Living Atlas. 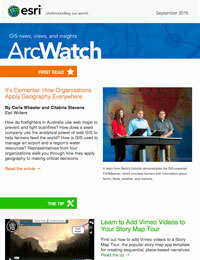 Contributed data is incorporated into Esri’s World Topographic Map, which is used as a ready-made backdrop for a wide range of maps, from interactive story maps to printed displays. Westminster uses ArcGIS Online basemaps from the Living Atlas regularly in the city’s map products, including many interactive web maps. Sandy Malesky, GIS specialist for the city, estimates that she saves up to two hours each time she uses the basemap, as she doesn’t have to re-create a basemap for each individual web application she makes. “I can focus on highlighting Westminster’s features instead of wasting time making street labels and symbols for building footprints,” she said. The City of Westminster’s Public Art Program represents the evolution of public and private investment, consistently high development standards, and the continual establishment of partnerships between the city and the development community. More than 100 individual works of art are included in the program. 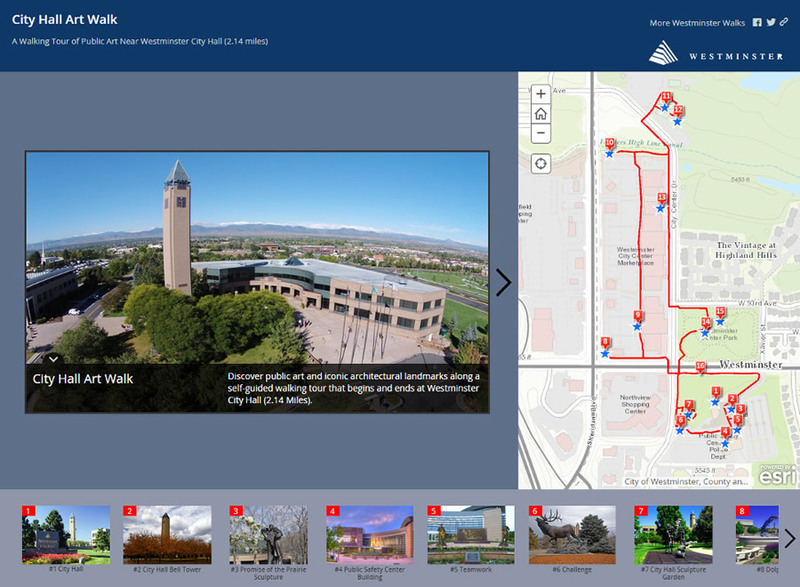 “[The story map] allows Westminster to showcase an interactive map with eye-catching photographs of art and landmarks, all in one user-friendly application,” said Joe Simpson, GIS technician.